1. ±4mm Adjustable flanges for stroker or narrower 1300 c.c. ~ 1600 c.c. engines. 3. 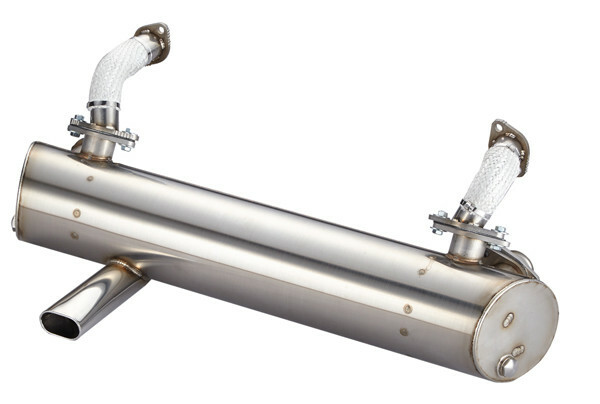 100% #304 stainless steel muffler, tail pipe and headers. 6. Use original 111 298 051A gasket for heater box. 111 298 051A gasket sold separately.